From Coach Jerry: Alli’s qualification for Boston was a wonderful accomplishment, and it did not happen by accident. Alli has been working really hard for more than two years to reach that goal, and despite some hard times and the disappointment last year of being under the Boston standard but not getting in, she never gave up on herself. Alli did the work, and it paid off with her excellent run at Lehigh Valley. Alli is a pleasure to have at workouts–she’s always got a smile on her face, and her persistence through challenges has been inspirational. 2) Goal race(s) for this year? Other races planned? I don’t have any more races planned for this calendar year at the moment, but I’m itching to eventually get under 20 minutes in the 5k. 3) What do you consider your best race performance to date? 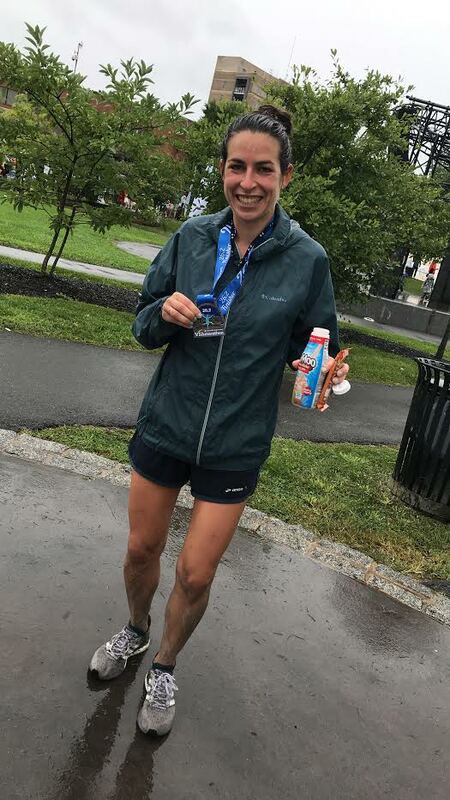 I think to run a Boston qualifying time on the very last day of the window in a rainy and muddy beginning-of-September marathon was definitely my best performance. Most everyone on the team and in my life knows that I ran a qualifying time last year but didn’t get accepted to Boston by a matter of seconds. I was pretty defeated and it really took a lot of encouragement from NOVA teammates to get over it and decide to put in the work to try again. 4) How and when did you find NOVA, and what do you like best about the team? At the end of 2016 I was getting ready for a January race which meant a lot of training alone in the dark during the shorter cold days when the rest of the running community seems to be hibernating. I must look faster than I am because I stopped at Pacers in Clarendon and the guy working there told me I should be training with a club and that I should check out GRC. 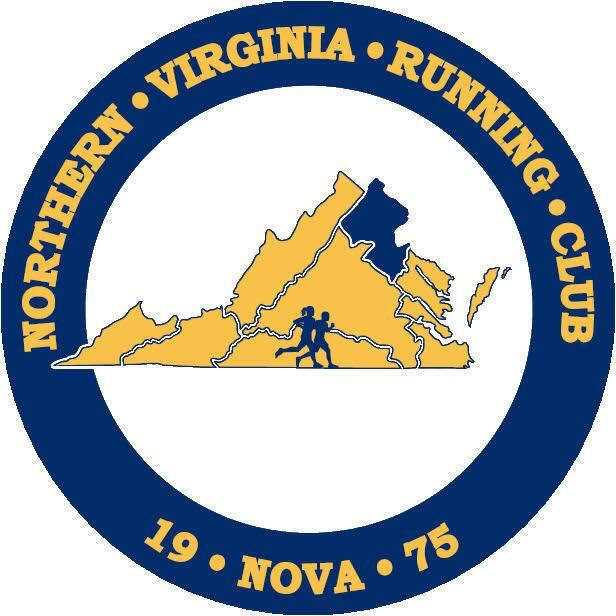 I had no idea at the time how elite that club was so I contacted Coach Jerry who politely told me I wasn’t the right fit for them but that NOVA would be perfect for me. I showed up at my first practice the following Tuesday and it was about 35 degrees, pouring rain, and the lights weren’t working at Wakefield so it was super dark, but I can’t describe how thrilled I was to see a group of 8 other people who had the same attitude towards getting the work done as I did. That’s what I like best about the team – this club is a strong community of people who show up week after week no matter the weather and have become really great training partners and friends. 6) What thoughts do you have on your performance at the Lehigh Valley Marathon, or other recent races? I trained all over the world while traveling for 2 months this summer which was a bit unusual but I think ultimately worked in my favor because the summer heat and humidity in DC can be miserable. Once it got closer to the race I sort of downplayed how hard I trained and tried not to talk about my upcoming marathon too much because I was pretty convinced that 1. the weather in early September was going to be way too hot and humid to get any kind of PR or 2. after spending a year being so frustrated that I missed out on Boston by a few seconds last year that I still just wasn’t good enough to make it. The week before the race the heat wave here was so bad that when I tried to run an easy two mile workout during my taper I couldn’t even hold an 8 minute pace, so that was another shot to my already lacking confidence. Miraculously, the weather on the day of the marathon was in the 50s and rainy which I didn’t mind at all. Everything clicked and I felt great the whole race, never bonked, and one of the coolest things was that my splits were noticeably faster in the miles that I ran past my boyfriend and my family who were at several spots on the course to support me. 7) What non-running fitness related (or other) activities do you enjoy? Anything outside! I love to hike, backpack, and rock climb. I also really love cooking and eating healthy food so lately I’ve been super into both cookbooks written by my favorite fellow Tar Heel and elite runner Shalane Flanagan.